Do you ever look at your craft supplies and have your mind go blank? Or do you have a mountain of offcuts, scraps or small pieces of paper, slowly taking over your craft space? Today's card is a great way of tackling those supplies! 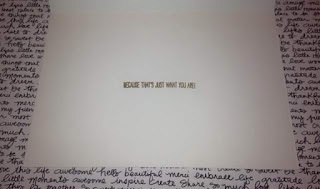 All you need (in addition to your blank card, adhesives and greeting stamp) is a Hexagon Punch, two different colours of paper, and coordinating ink. 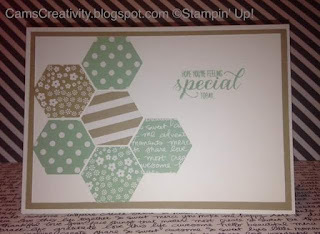 Punch out a few hexagons, arrange on your card in a similar pattern to the above picture, and stamp a greeting of your choice. 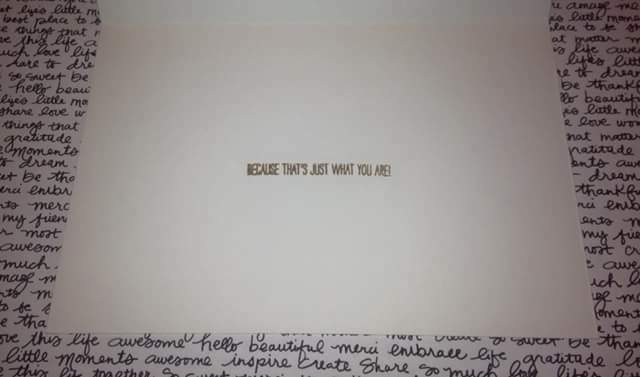 I then went on to stamp a greeting on to the inside of the card, as shown below. I think a greeting on the inside of the card is a great finishing touch, and the Garden In Bloom stamp set does this really well. 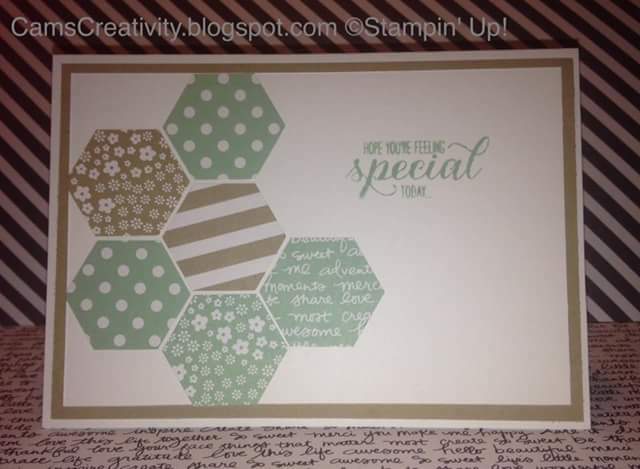 Labels: Cam's Creativity, Garden in Bloom, Hexagon Punch, Stampin' Up!